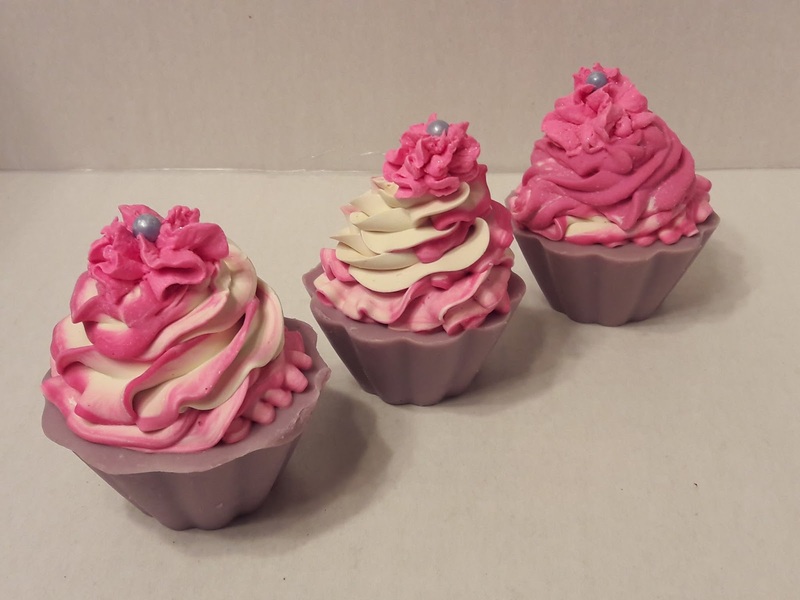 I was so excited to make Christmas Soaps and Soapy Cupcakes this Christmas season. Out of all the years I've been creating artisan soap, I've never really created Christmas Holiday themed soaps. So, I decided I would do it this year. I've created several cupcakes and even a few bars of soap as well. Unfortunately, I haven't done very good in the way of selling them this holiday season. Next year I'll think twice about Special Holiday Soaps. 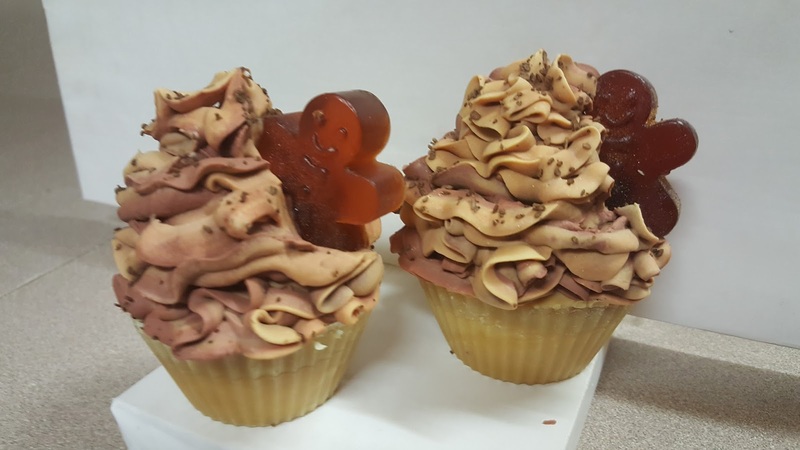 Anyway, Here are the Christmas Soaps and Cupcakes I created for Christmas 2016. My first Christmas Soap was my Gingerbread Cupcake - To be honest, I've had this Gingerbread fragrance oil for over 7 years. I thought it would have lost its scent and potency. However, because it sat in the dark for literally 5 years without seeing the light of day, it was POTENT. 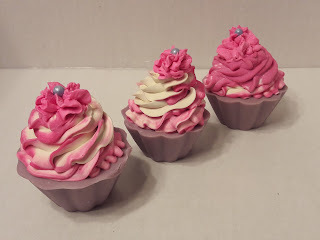 I hated the scent before I used it in these cupcakes. 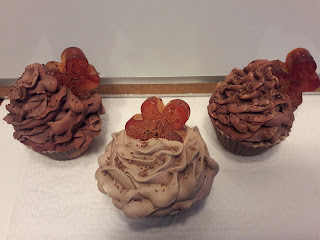 By the time I got finished making these cupcakes, I was in LOVE with Gingerbread fragrance. 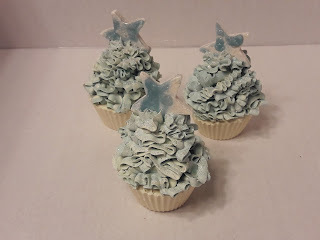 The second Christmas Soap was my Apple Blossom Mint Soap Cupcake. 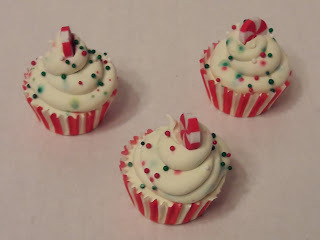 I made this cupcake because I loved the blend of Apple and Peppermint blend. It smells sweet and minty at the same time. The amazing part about these Soapy Cupcakes was that they were almost lost to my brand new piping tool not being opened enough to pipe out my soap the way I had imagined. Some how I got it out and the cupcakes came out pretty nice. A Romantic Christmas Soapy Cupcake is my third Christmas Soap.for 2016. Its a blend of Apple, Love Spell (type) and Peppermint. This is my favorite for the season. Its warm and romantic, its sweet and deliciously soft. The peppermint is subtle and the blend as a whole is delightful to the nose. cupcakes. They are solid white with green and red sprinkles.The topper has tiny erasers shaped like peppermint candy and snow men. They are completely adorable. My next Christmas soap is the Applemint Soapbar. 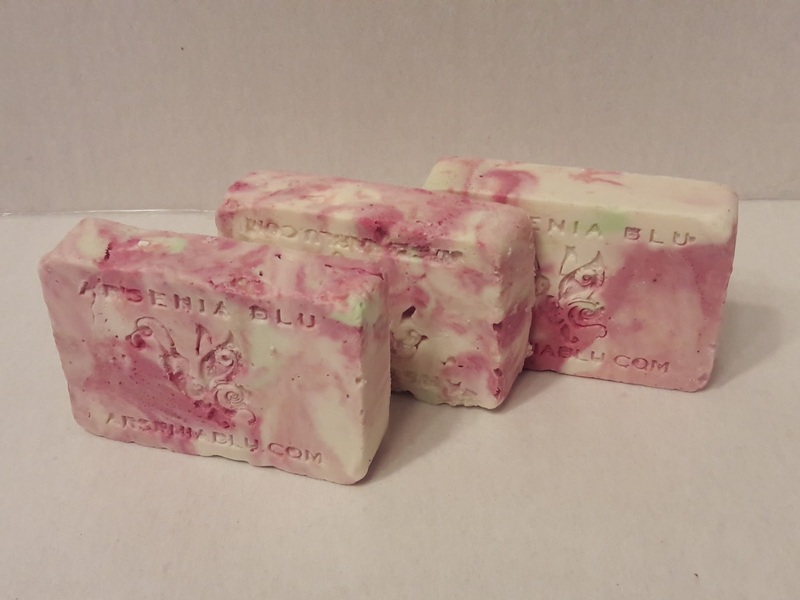 This soap bar is really pretty with three colors, white, green and a dark mauve rose color which was created out of beet root powder. It turned out to be a really pretty marble swirled soap.